This month I’m gonna try to knock out some books I started but never finished and also some new releases from this year (4-5). We’ll see how consistent I am with updating from now on. 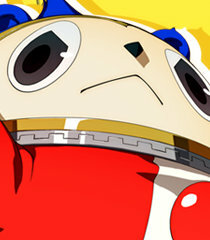 I saw a dude on the bus with a Teddie badge on his jacket. I suspect he was the guy who worked at Gamestop when I went in for my shiny silvally code. FEH kinda overtook my life. No one should ever let me play gacha games because I have poor impulse control.